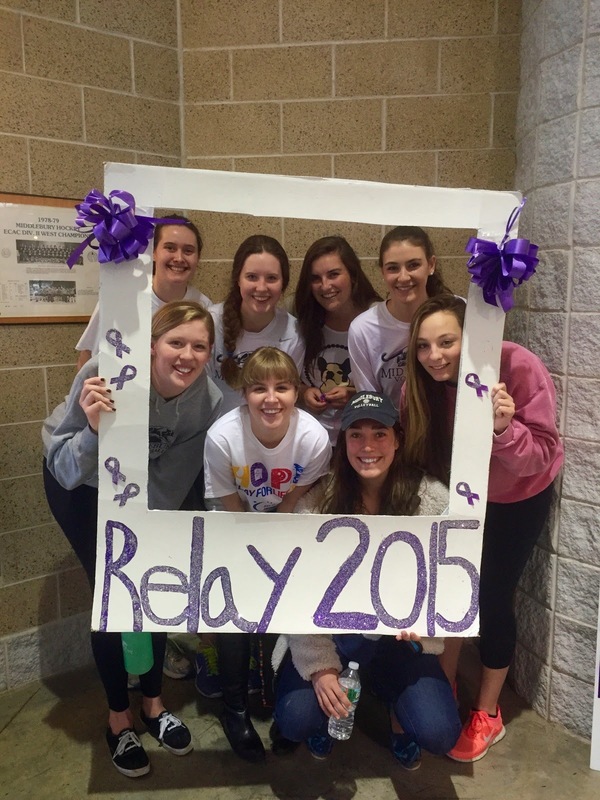 April 11 was the Middlebury Relay for Life event. This year was different than in the past in that the event ran from noon to midnight instead of through the night. My girls and I have been pitching a tent and spending the night for years now, and so it was a different event not trying to walk all night. However, truth be told, I stopped trying to walk all night years ago! Nevertheless, it was a great event, and a thoughtful and meaningful evening of celebration and remembrance of loved ones, both family and friends who've battled cancer, some winning that battle and some losing it. I wasn't able to be there as much this year as it was also the same night that longtime coaching mentor and friend, Missy Foote had her retirement party; however, MCVB represented in a BIG way! 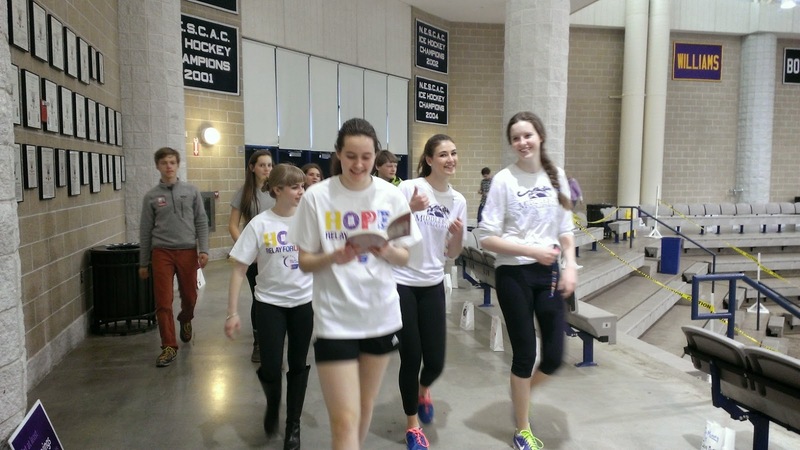 We had a great turnout, and Mel even got in some reading homework while walking laps!